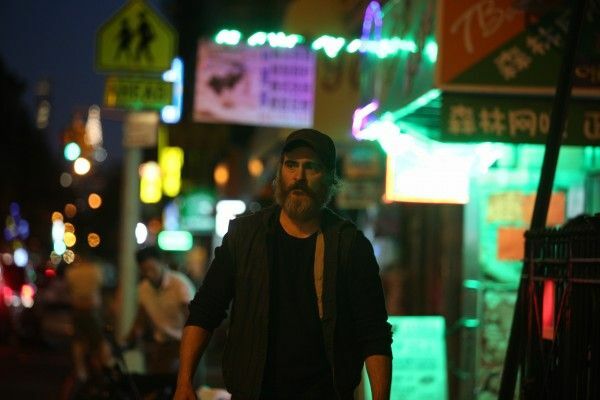 With director Lynne Ramsay’s fantastic new movie, You Were Never Really Here, now playing in New York and Los Angeles, last week I did something incredibly cool: I got to sit down with Joaquin Phoenix for an hourlong exclusive interview. Unlike most interviews where the person promoting the film sits in a hotel room for hours and reporters shuffle in and out every ten to fifteen minutes, what was so unusual and cool about this conversation is that I met up with him at a local Los Angeles hotel and we sat outside by the pool and talked without any publicists or other people around. Trust me, this is not the norm. As a huge fan of his work (he’s one of my favorite actors), getting to have an intimate conversation with Phoenix was an experience I’ll never forget and I’ll always be grateful to everyone that made this happen. During the extended conversation we talked about his process as an actor, the unusual way he got into acting, if he’s interested in directing a feature, his thoughts on film versus digital filmmaking, how and why he went vegan, if he’s ever regretted turning down a role, his collaborations with Paul Thomas Anderson, how he knows when he has to play a role, and so much more. Trust me, if you’re a fan of this gifted actor I’m extremely confident you’ll enjoy reading the conversation, which will be posted in two parts in the coming days. However, while I’m not posting the first half of the conversation just yet, I did want to share what Phoenix had to say about comic book movies and the rumors of him playing the Joker in War Dogs filmmaker Todd Phillips’ standalone DC movie. 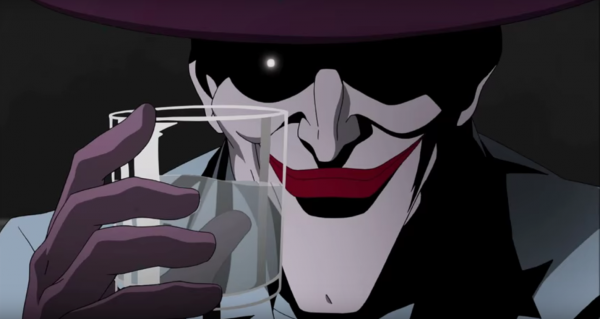 If you haven’t heard the rumblings about the cool-sounding film, the origin movie will reportedly portray the Clown Prince of Crime as a failed comedian in the 1980s, following his path to becoming a Gotham crime boss “after bombing with audiences.” The project is expected to take place outside the existing continuity of the DCEU as part of a new banner that will expand Warner Bros.’ DC Comics-based films, but thus far nothing has been officially announced. Before going any further, you should know Phoenix has not yet confirmed anything about his involvement in the Joker movie except to say he’s met with Todd Phillips and likes him. Does that mean he’s thinking about playing the Joker? Well in that respect, Phoenix remained elusive. If this film is happening later this year I’d imagine we’re going to hear more about it very soon. 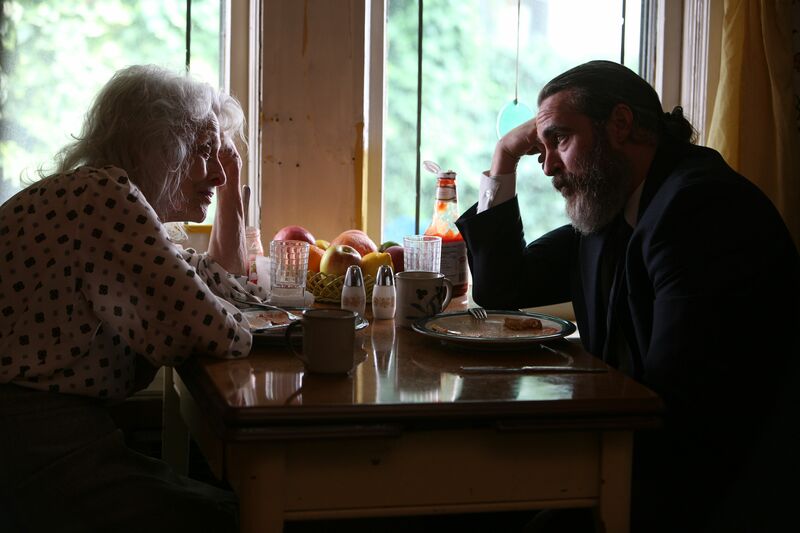 Until then you can read the part of my Joaquin Phoenix interview below where I tried to ask him about the Joker movie and we talked more broadly about comic book movies. Look for more with him very soon.